Do not put hands, feet or other body parts under the forks or scales. Installation of the Class II SEKO Scales with up to 48 inch forks can usually be accomplished by one experienced worker. Hook SEKO scale top hook on top carriage rail. 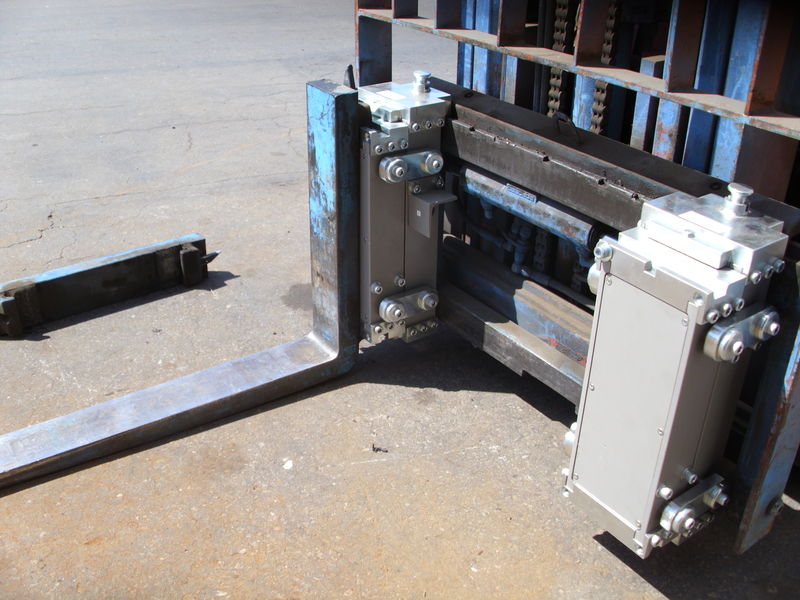 Slide SEKO scale to one side, engaging the SEKO bottom hook on the bottom carriage rail. The forks may be repositioned as normal. Release the positioner lock. Video demonstrates rapid swap capability using SEKO Scale System. A truck breakdown requires only about five minutes to transfer the scale system to another truck. Very little production time is lost due to wait for mechanic assistance. When forks are removed, replace the Shipping Locking Bolts for travel.